Never underestimate the power of the fandom. 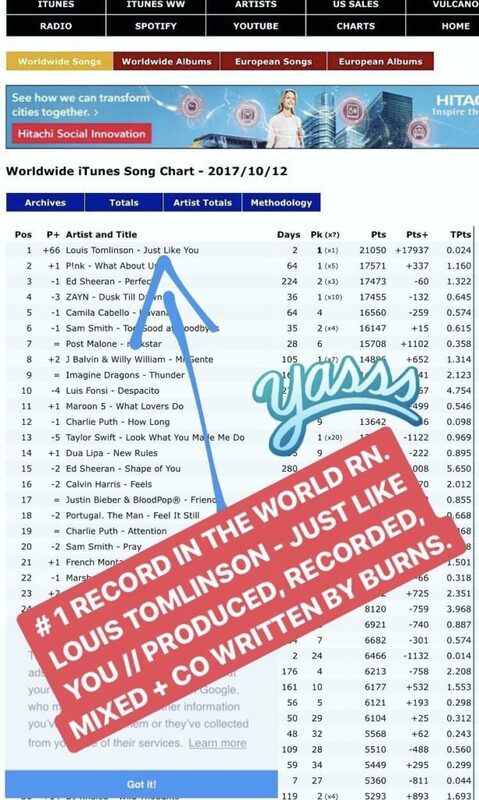 Louis Tomlinson’s most recent track ‘Just Like You’ reached the coveted No. 1 spot on the Worldwide iTunes Song Chart, and it’s all due to fans. He promises a lyric video for ‘Just Like You’ is on the way.